This top has been the Summer top of the season in our household. You may have seen my first version of this top on my Instagram feed about three months ago. And since then, I’ve shared several other versions. 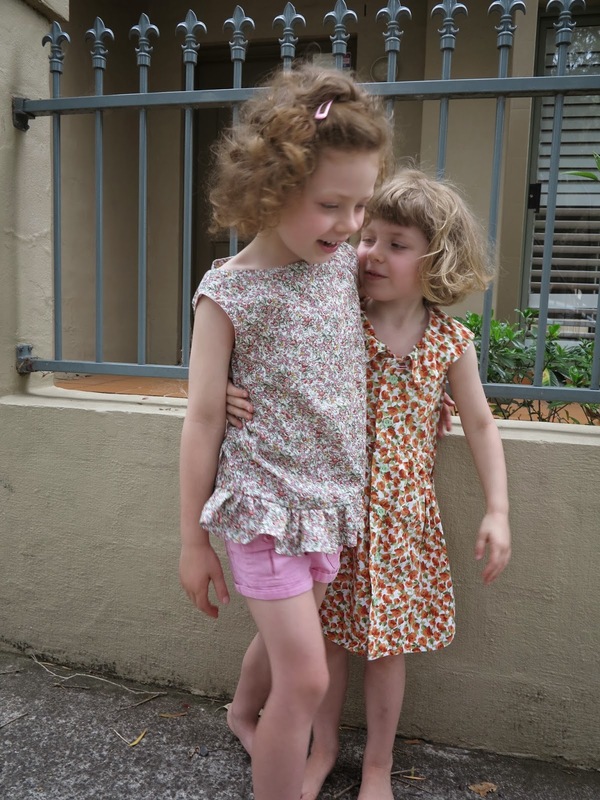 All three of my girls loved their test versions so much that I decided to digitise the pattern. 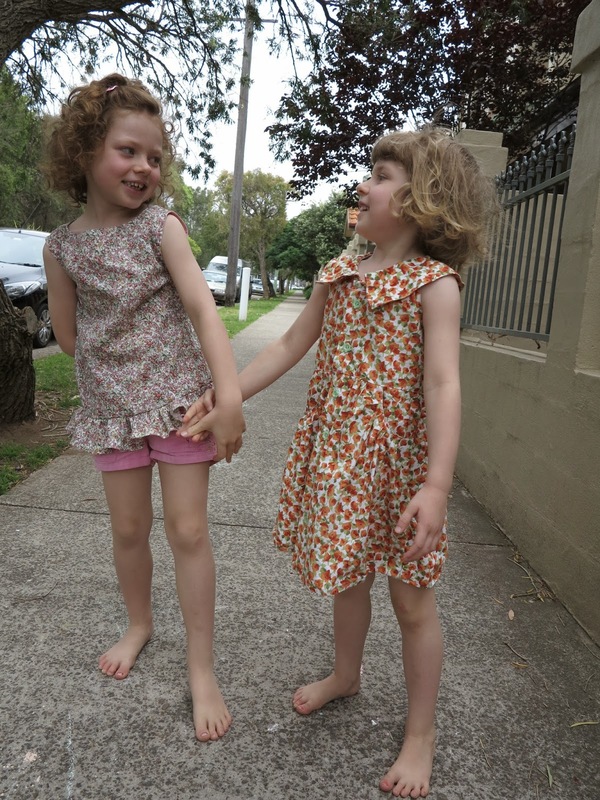 It is the perfect mish-mash of twirly-girly style and playtime practicality. 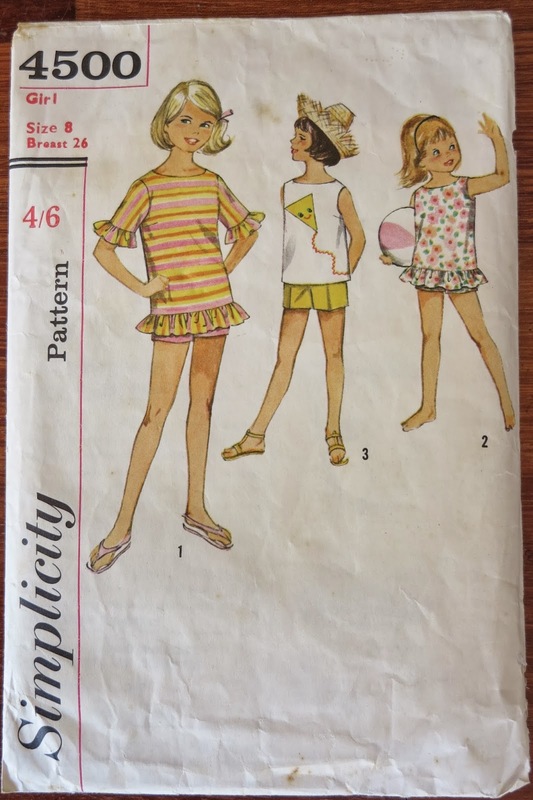 This entry was posted in animal print, buttons, cotton on July 8, 2015 by Debbie Iles. 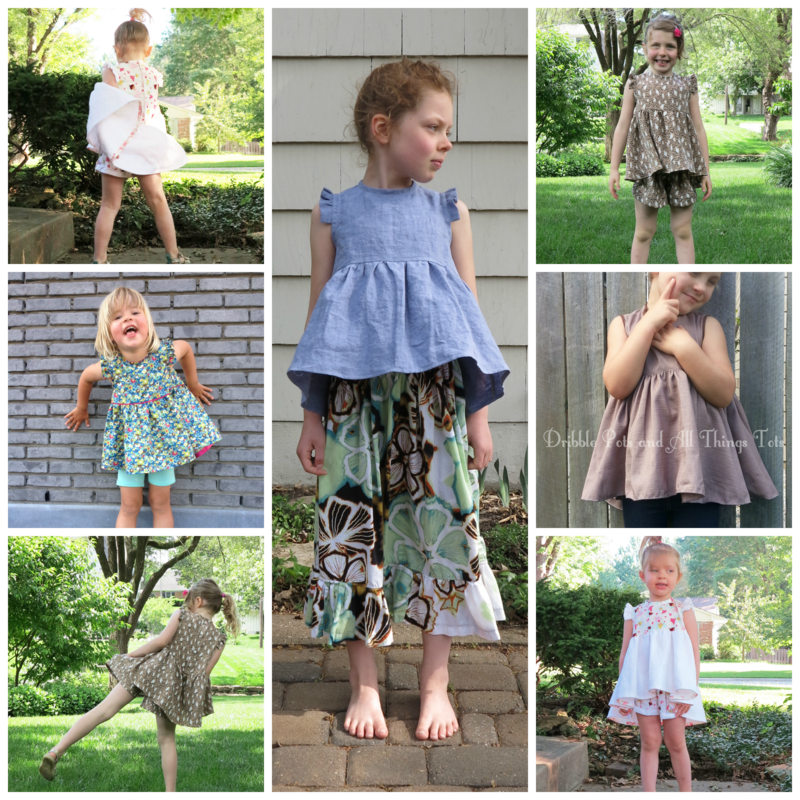 I was lucky enough to be contacted by Rhonda Buss recently (of Rhonda’s Creative Life), to take part in a little sewing challenge. The guidelines were pretty simple. Ten participants were each sent the same panel of fabric to make an item of clothing. Of course I was going to say yes. I love a good challenge. I’m not usually big on florals, so it was quite fun to come up with a style and design that would showcase the fabric, and yet still be true to my own personal sense of style. The fabric itself was a very drapey, textured barkcloth. It has a similar hand to rayon or some woven viscose blends. It was only a small panel, so I ended up using all of it, and in fact, drafted the side triangular panels of this dress specifically to accomodate it’s short length. In sketching out some of my initial design ideas for this dress, I realised that I was going to have to stabilise the drapey, challenge fabric in order to sucessfully make the kind of dress that I had in mind. This was easy to do though. 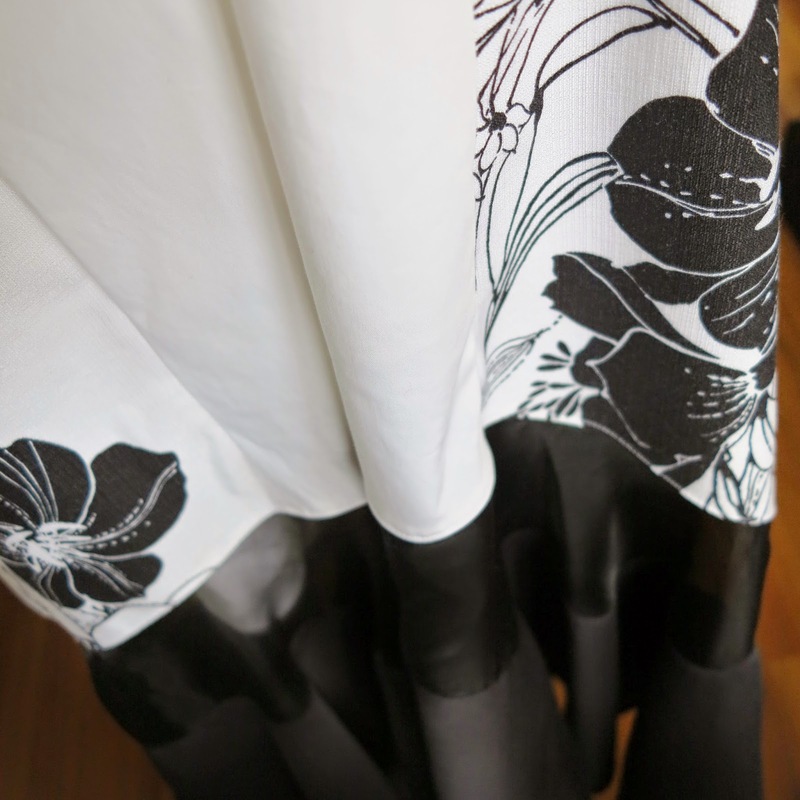 I fused ProWoven Shirt-Crisp interfacing to my drapey, floral fabric, and voíla, it turned into a lovely crisp textile with a more structured hand, and an almost identical drape to the weighty Theory cotton sateen that I was using for the rest of the dress. It also dealt with the fact that I had to cut the fabric on an obscure bias in order to place the flowers in the position that I wanted. The design is my own. I used my drop-waist dress pattern and modified it. My main changes were to add the side panels and change the shape of the side seams. I graduated the hemline and added a slightly flared flounce with a silk organza panel in between. I also added inseam pockets because every dress needs pockets. All good dresses also need a *twirl* photo. I definitely think twirling shows off the shape of the dress better. I might twirl instead of walk when I wear it. Because the main white fabric is such thick cotton, and because of the design, I didn’t want to line the dress. I drafted an all-in-one neckline and armscye facing and understitched for a clean finish. 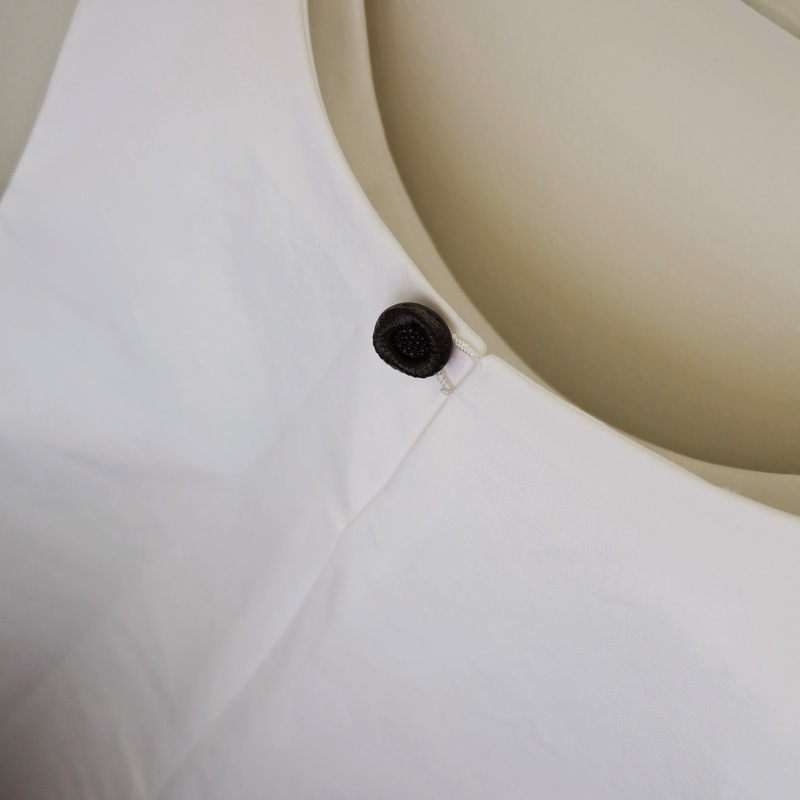 The back is fastened with a hand-worked silk loop and a beautiful glass button. I love glass buttons. I feel like they add a special touch. I really love how this dress turned out. I’ve been dreaming of a dress design like this for a while now, but had been putting off doing anything about it because it’s just so seasonally inappropriate. I love that this challenge enabled me to make something that I’ve been wanting to create anyway. It’s been a long post so if you are still with me, awesome! Please don’t forget to head over to Rhonda’s Creative life because there will be voting soon. You will also be able to check out the other fabulous entries there. This entry was posted in buttons, cotton, dress, Jo-Ann, Mood, organza, sateen, self-drafted, silk, white on February 1, 2015 by Debbie Iles. We are having a great lazy start to the weekend here. For a pleasant change, all I can hear are little voices excitedly pretending to be fairies, teachers, campers and whatever else their little minds are thinking up on the spur of the moment. I can never keep up with the rules of their games. But at least there is a lot of love in the air today. 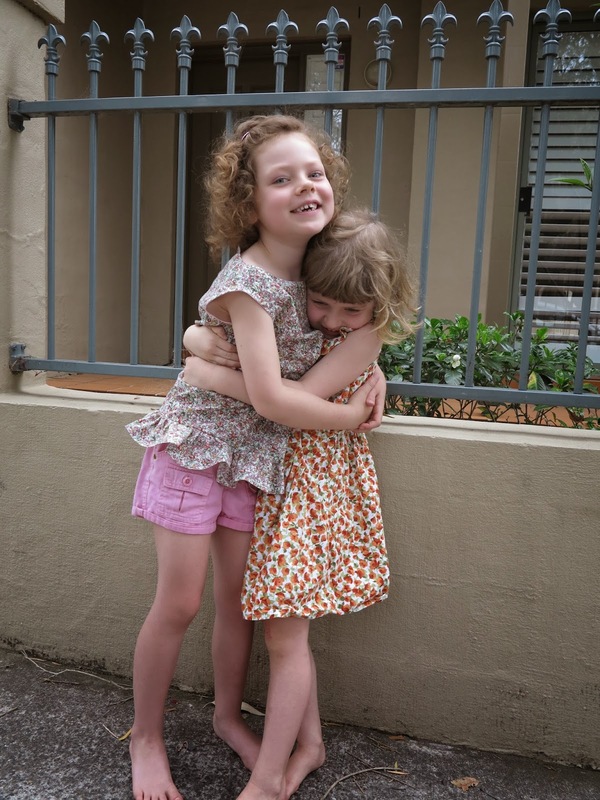 My girls are lucky enough to live in a quiet street, with some great neighbourhood kids to play with. 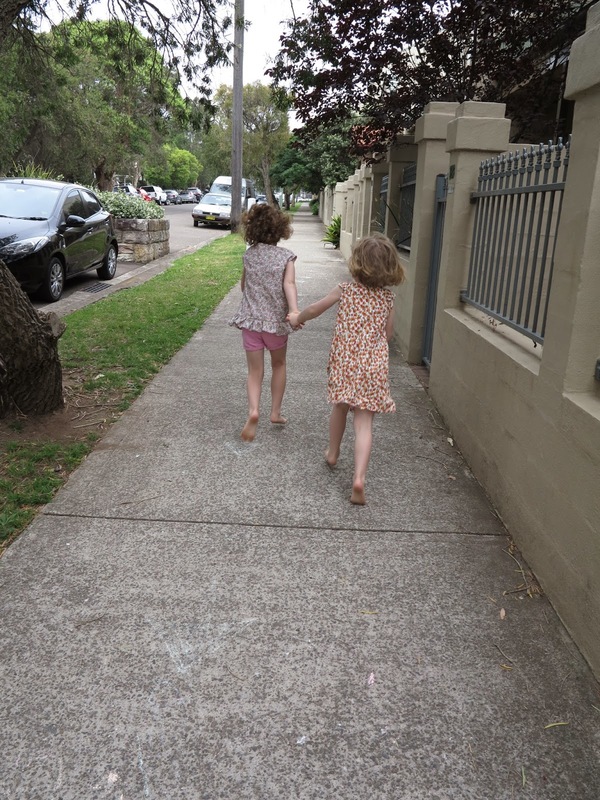 They have a lovely time scooting up and down the pathway in front of our house, and generally spend their days running amok. Today Miss 5 was out racing around in her new top. A lovely little number made using some cute vintage cotton. 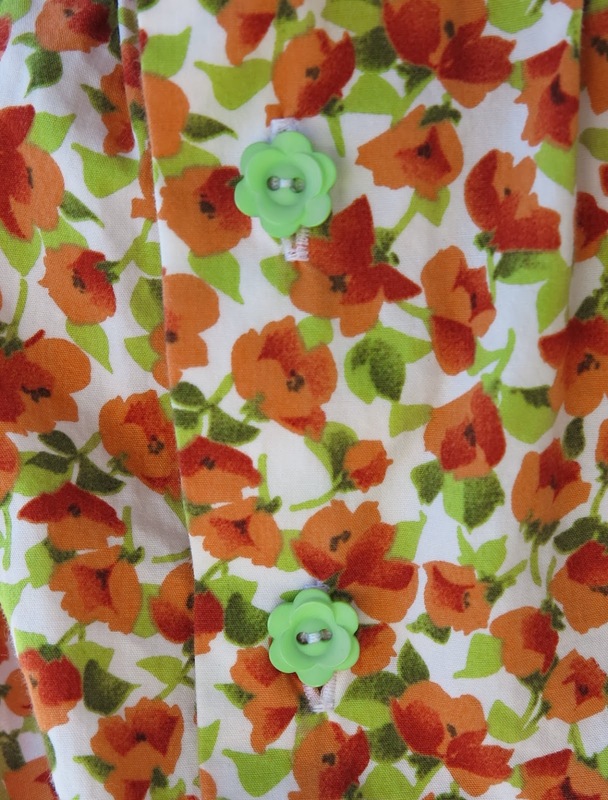 Miss 3 is wearing her little Ralphy dress (made with a Tessuti fabric) with some gorgeous green vintage buttons we handpicked together from All Buttons in Newtown. This is the pattern I used for Coco (View 2), but I scaled it down a bit to fit my size 5 girl. 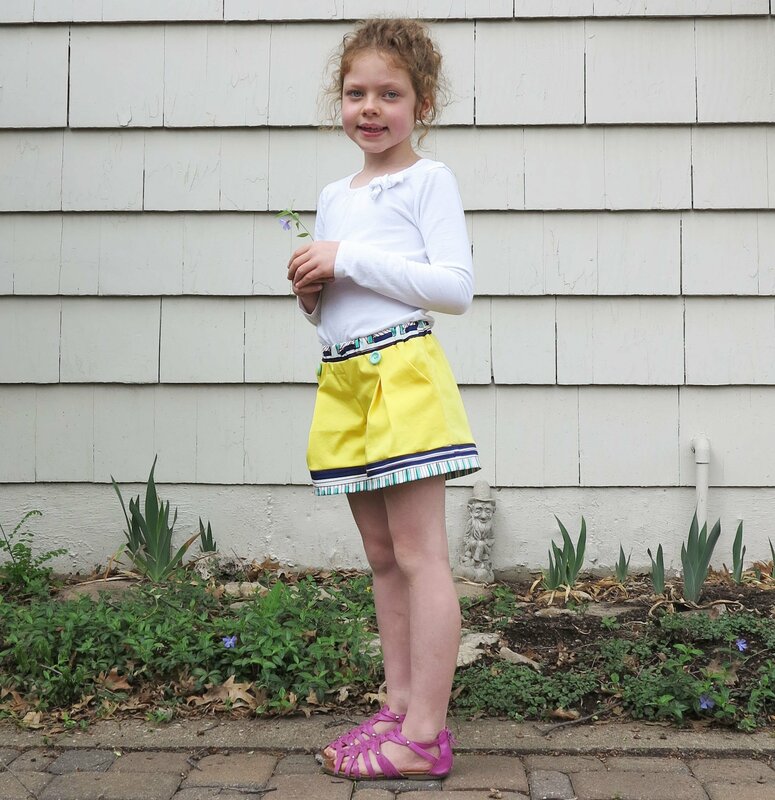 I’d started out making it for my seven year old neighbour but when it looked like being way too small, I ditched this plan, slimmed the side seams a little and shortened it a smidge for my daughter. But the best thing about it has to be my zipper insertion. 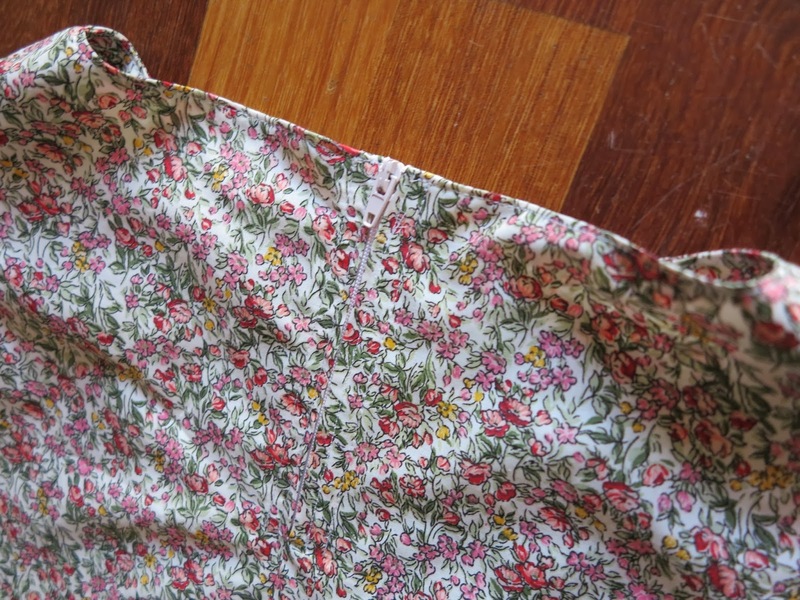 I am rarely excited by the way my zips turn out, but I think perhaps I may finally be getting better at them. God knows I’ve inserted enough into all my dresses and tops over the last two years for the sake of my little Midgie. This entry was posted in buttons, cotton, floral, Ralph Lauren, S4500, Tessuti Fabrics, top, vintage fabric on November 9, 2013 by Debbie Iles.